One of the things I did when originally researching the Hurricane, was to look on Ebay for anything related to it. In that way I found, among reports, articles, books, etc., a variety of curiosities. 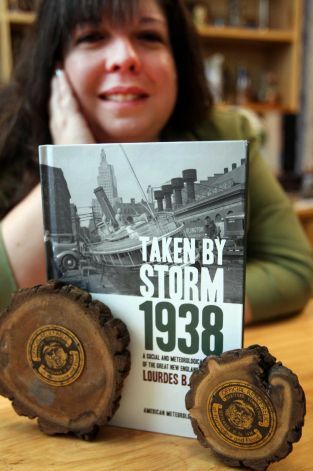 There were the little Hurricane wood pins carved by disabled veterans, and a piece of shingle with scribbled information about where, when, and how it was found scratched on it. There was a scrapbook of works by Connecticut school children (with poems, drawings, stories, songs, etc.). 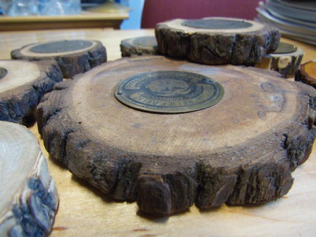 There were also these disks that were obviously cross sections of trees with a brass place attached. 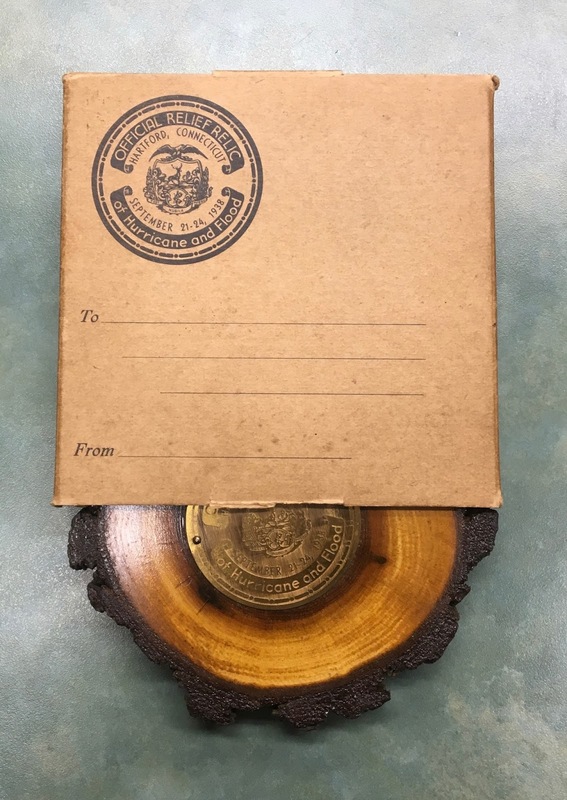 The brass plate, shiny circular disk, says "Official Relief Relic of Hurricane and Flood" around the outside, then "Hartford Connecticut September 21-24, 1938" inside that. The middle had a sort of coat of arms that I assumed was probably the Connecticut or Hartford seal. I meant to look it up but did not give it as much more thought. Of course it was interesting enough to include in my talks and in the book (there's a picture in Chapter 9, when I talk about the legacy of the storm). The disks have a constant presence around me. I sometimes bring some of the them to my presentations so that people can see them in person. The Associated Press photographer that came to my office with a reporter (this awesome lady that I could tell was one of the most experienced reporters to whom I had talked), posed some of the disks in front of the book, which was in front of me, for the picture that they circulated nationally. Once in a while, when I think about it, I go back to Ebay and Amazon and check if there are any additional disks for sale (as of January 2018 I have 12 of them). Early last fall I found an awesome one. It came in a box! I don't know much about the origin of the disks, who made them? Were they sold? Were they given away? Some of them have a hook on the side or the back for hanging, but most of them don't. This was something new; I had never seen a box. When it came, the box was mostly in good shape, with a flap not quite missing, but almost detached, and the disk was in beautiful shape. 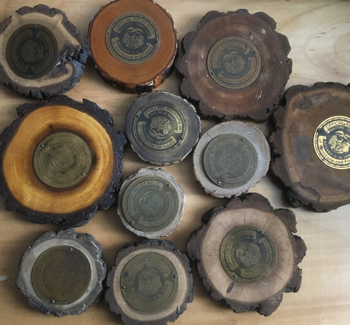 It had been burnished, so the wood looked new and bright, and shiny, and the brass was in the best shape of any of the disks I had found. Cool! 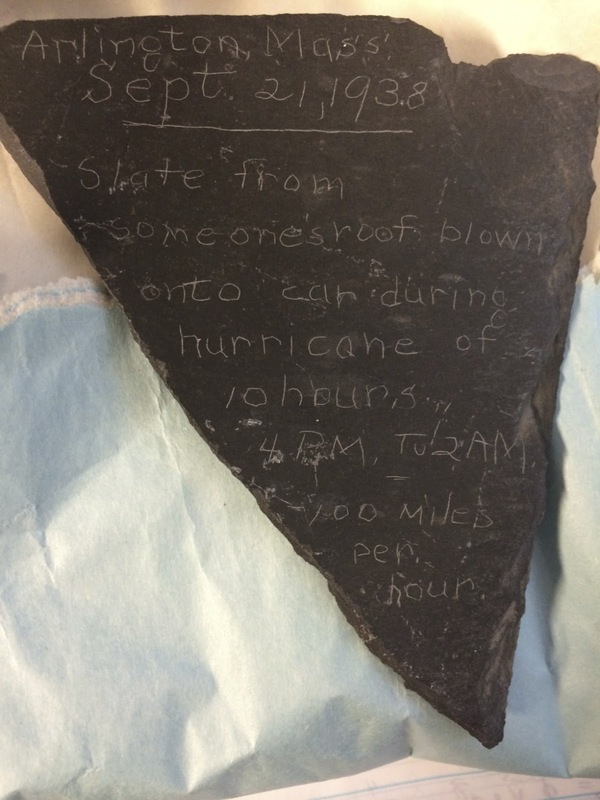 At the same time, a library in northern New Hampshire had asked me to give a talk on the anniversary of the storm, September 21 (2016). I always go over my presentations to make sure they flow well enough or to add anything new. I had been busy, so I didn't have a chance to do this until the very day of the presentation, which also happened to be the day when I grabbed the package I had just gotten in the mail and opened it (with the boxed disk). I took some pictures, especially of the box, since it had a reproduction of the text and design in the brass plates. When looking at the picture, I noticed there was some very small text on a ribbon right under the shield shape with a drawing of a deer, trees and other visuals. I wasn't familiar with it, but it is the seal of the city of Hartford, Connecticut, as I had suspected earlier but had never verified. I looked at the words, clearly in Latin, and they said "Post Nubila Phoebus." I had a general feel for what they might mean, given that Spanish is my native language, but without much thinking, I looked into translating them in Google. The translation widget was not as good as it is now, when I could have just entered the full phrase for immediate translation into English (what a difference a year makes!). So I found a Latin to English dictionary and entered each word separately. "Post" is "after," "Nebula" is "clouds," "Phoebus" is "Phebus…" Ok, what is that? I suspected a mythological figure. Ah, it's Apollo!, among other duties, the god of the sun! So I decided that the phrase meant, amazingly, "After the Clouds, Comes the Sun." Wow! What an appropriate phrase. The storm came, caused death, destruction, flood, devastation, but the sun came out, and the region (the city in this case), recovered. Did they put that there on purpose? It was very clearly part of the seal (which I quickly verified). I was able to verify also that this is the motto of the City of Hartford. Ok, did they adopt the motto because of the hurricane or a previous hurricane? The phrase, figuratively, can definitely represent rising from adversity, so it's very appropriate in many contexts, but it was just such a good match to the story of the hurricane that I could not resist thinking that the Hurricane might have prompted it. 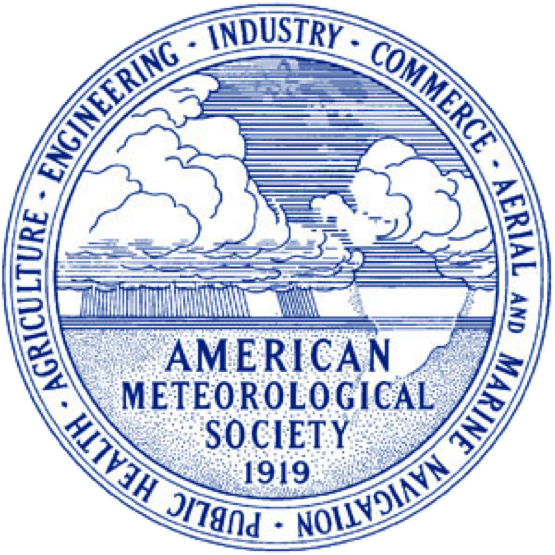 I gave my presentation, which being during the early evening, was happening around the same time when the storm would have been ravaging interior New England exactly 78 years before. I told them what I had just found out that day and how amazing it was, and I told them of my unanswered questions. I made a mental note to try to contact a historical society in Hartford. Things got busy and I kind of put everything aside for a few months. One day I decided to post about it on Facebook: "Those that have gone to one of my talks about the 1938 hurricane know that I have been collecting these disks of chopped wood from fallen trees that the city of Hartford, CT decided to make into 'Hurricane Relief Relics.' Their picture even made it into the book. Well, when preparing my last presentation, I received my latest disk and this one has a box! and it's in beautiful condition. 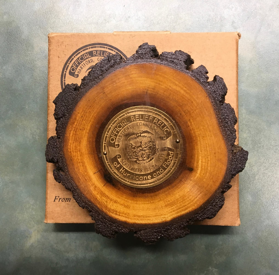 The box has a copy of the seal on the brass disks, which is the Hartford Seal. That made me look at it more carefully and I can't believe I did not notice this before, but the motto of the city is Post Nubila Phoebus, which is Latin that translates into AFTER THE CLOUDS COMES THE SUN! How appropriate! Now I need to dig out some history about the seal and motto to complete the story." One of my friends found that the same phrase appeared in a solders' memorial from the late 1800s. Ok, so the motto was probably not adopted because of the Hurricane. And then I got busy again. When I was ready to start working on the 80th Anniversary update that the AMS Books requested I provide, looking further into this was in the short list of items that came to mind right away. My previous searches for the history of the motto of the city had provided no new information, so I felt that the next step was definitely to contact, if there was such a thing, the Hartford Historical Society. Well, there is a Connecticut Historical Society in Hartford. I sent a "research request" via email (one of the "contact us" categories). A little while later I got an email saying that they received the request and I kept working on other things. Looking at the email more carefully a little later, it instructed to go back through a link and give more information, and that the request would not be processed until then. The options were somewhat unclear, but clearly stated the $50 per hour charge for research services. Screw that! 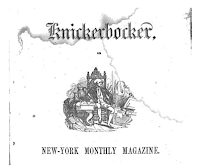 I decided to do some more searches myself and I found a book review in The Knickerbocker magazine (of the New-York Monthly Magazine), which was a New York City literary magazine in the September 1853 issue. * The article mentioned "post nubile phoebus," which is how I got a hit. Reading more carefully, I realized, which I hadn't earlier, that this was a book review of a book on the early history of Hartford by somebody named Scaeva. ** Huh? 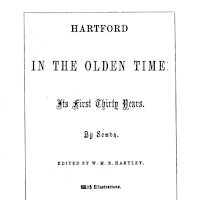 I Google-book searched for the book and found it, quickly learning that Scaeva was the pseudonym under which a local and colorful historian had been publishing articles (about the history of the city) in the Hartford Courant. One of them, the last one, was about the coat of arms. I quickly realized, from reading and from a few editorial comments added, that this Scaeva was not just reporting, he had designed the seal of the city himself. He reported that there was already a seal, adopted in 1785, but as he described it, it was totally generic and did not have much special significance. He designed a coat of arms with a "hart," which I just learned is a young deer ("a word which signifies according to Bailey a stag five years old") crossing a river ford…. A "hart ford." Ah, clever! He described all the details of the seal, including the phrase "post nubile phoebus" (more about that in a moment). He presented his design in the newspaper article, including the full heraldic description and a diagram, and he asked for somebody to make one for him… cheekily saying how thankful he would be. 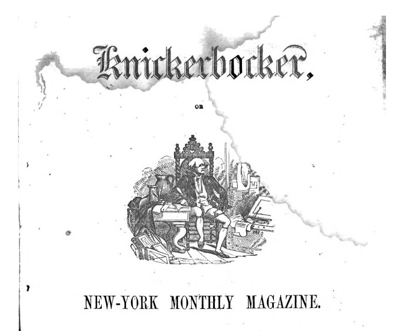 There was a note from the editor saying that since the publishing of the article in the newspaper, this design had been adopted as the new seal of the city, but it didn't say when, or when the article had been published. I felt I needed to find this article so I could hone in a little better on the timing. All I knew now was that the original seal was from 1785 and that the book saying that the new design had already been adopted was from 1853. Sometime within that range of years, the new seal was adopted. I already had one of my answers very clearly. The motto was not adopted because of the Hurricane. Also, there was not a separate history for the motto and the modern seal. The motto came with the new seal design. Scaeva talks in detail about the appropriateness of "after the clouds the sun" given all the adversity that the city and its inhabitants had undergone in order to become the prosperous city that it was now. This was definitely the very appropriate figurative meaning of the phrase. 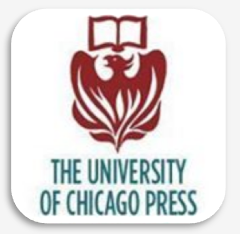 Going back to the book review, the writer of the review, who might be the editor of the magazine, goes on many tangents, some philosophical and judgmental about many topics. Among all the chatter, was the identity of Scaeva ("we betray no confidence, for the fact is generally known, when we add that 'Scaeva' is the nominal representative of the Hon. I. W. Stuart, a gentleman who has devoted much of his abundant leisure to historic researches…") The full name was Isaac William Stuart. Two new questions come to mind. What Is the actual year of adoption of the modern seal, and what is the origin of the "post nubile phebus" phrase. Further searching revealed that the phrase has been used many times, in many contexts, in different media (even songs, and money!). It is not surprising, given how good of a sentiment it conveys. 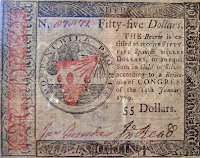 One of the most interesting uses I found was in Continental Currency, the paper money that the founding fathers started printing as they worked to be independent from England. The $55 dollar note (yes, 55 dollars was a denomination, which very roughly would inflate to $1,063 in 2017 dollars,*** although this might be misleading, since the value of these notes during the time is very uncertain, to my understanding) contains the phrase together with a seal with a sun and clouds. 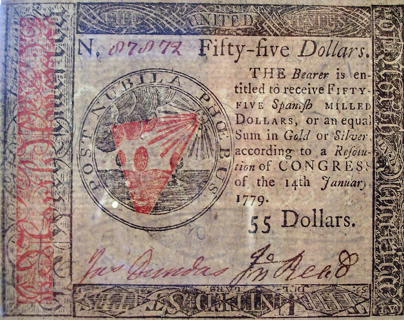 The bill reads: "THE Bearer is entitled to receive FIFTY-FIVE Spanish MILLED DOLLARS, or an equal Sum in Gold or Silver according to a Resolution of CONGRESS of the 14th January 1779." These beautiful notes currently sell on eBay for $400-$600. I also learned in the process that Spanish milled dollars were highly regarded around the world because the milled (textured) edge kept them from being shaved to scavenge the material and literally pay less - the value of the actual material was the value of the coin, as opposed to modern coins. Because of this they became the international trade coin and they were circulated in the US for a few decades as perfectly feasible money). I also found a book from the early 1700s written by an author with an English name but written in Latin, with the phrase as its title. It quickly became clear that this was a black hole that would take me hours to explore with very small chance at getting much new information. I decided that I had enough to write about the disks, although it felt wrong not to know when this seal was adopted exactly. I belong to a Facebook writing group (one where we share our plans and accomplishments and provide support for each other) and I shared how much fun it was to dig out the information I did find. My friend Becky, a historian who often works in antebellum storylines, said she had a book where she might be able to find some information about the seal and soon sent me some screenshots and info. The modern seal was adopted in 1852! Now I could at least write a complete little blurb for the book (which appears in the new Chapter 10). I still did not find the Scaeva article (and it's the second time I wish I could track down something from the Hartford Courant, but its archive does not seem to be available online… or maybe I have not looked closely enough… or maybe I need to make the trip to Connecticut to find it in person). I also still don't know the story of the disks themselves. Who made them and why? Did they charge for them? And did they know that the seal that they were stamping on the disks had the amazingly appropriate sentiment of "after the clouds, comes the sun?" 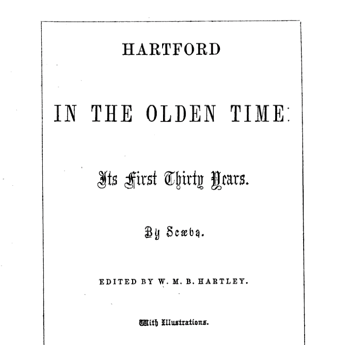 **Hartford In the Olden Time: Its First Thirty Years by Scaeva, edited by W.M.B. Hartley - Article 9, page 83 - Its Name. A Coat of Arms.